You may think drug crime arrests are only the burden of the average person, or persons of modest means. But many rich and famous people also have been arrested for possessing drugs. Older cases are littered with a crime that has become far less of a crime today: possession of marijuana. Famed trumpet player Louis Armstrong was arrested and charged with possession of marijuana in 1930 and faced six months in prison and a $1,000 fine, though the charge later was dropped. This was in California, where recreational marijuana use became legal on Jan. 1 of this year. 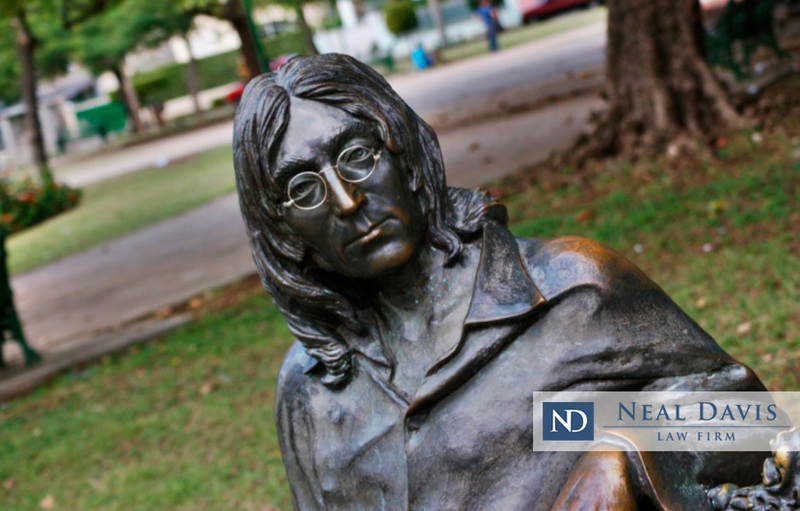 After a 1968 raid on his home in London, the Beatles’ John Lennon was charged with possession of half a gram of morphine and 200 grams of hashish. Lennon pleaded guilty to prevent his girlfriend and future wife Yoko Ono from being deported to her native Japan. He paid a fine of 150 English pounds, which today would be about $200. Jimi Hendrix, widely considered to have been the world’s greatest rock guitarist, was arrested at a Toronto airport in 1969 for allegedly having heroin in his bags and was held briefly on $10,000 bail. Hendrix claimed the drugs were planted by border police. Texas country music superstar Willie Nelson—a longtime proponent of marijuana—was arrested in Louisiana in 2006 when a pound and a half of marijuana and three ounces of narcotic mushrooms were found by police in his tour bus. Nelson and four passengers were charged with a misdemeanor for possessing the drugs. If it had been determined that Nelson alone had possessed the drugs, he could have faced a felony charge. Musicians aren’t the only celebrities that have been arrested for drug crimes. Another Texan, Oscar-winning actor Matthew McConaughey, was arrested at his home in Austin in 1999—where he was playing bongos naked—and was booked on suspicion of possession of drug paraphernalia, possession of marijuana and resisting transportation. He spent nine hours in a county jail, then was released on $1,000 bond. The drug charge later was dropped. Robert Downey Jr., now a major box-office draw thanks to his portrayal of Iron Man in the Marvel superhero movies, has come a long way since a low period when he was arrested repeatedly for drug possession—marijuana, cocaine and heroin—from 1996 to 2001. His punishments then included six months in Los Angeles County Jail and a year in state prison in California, as well as several years of probation. Actress Mischa Barton of the popular show The O.C. was arrested in 2007 for driving under the influence, possession of a controlled substance and possession of marijuana. After spending seven hours in jail she was released on bail. Her punishment: a probated three-year sentence, a fine of $2,000 and having to take a three-month education class on drug use. An even more troubled actress, Lindsay Lohan of The Parent Trap, Mean Girls and other movies, has been arrested multiple times, including for drug possession and DUI. Lohan has spent time in jail on numerous occasions, ranging from 84 minutes to several weeks. These cases are just the tip of the proverbial iceberg when it comes to celebrities facing the music for drug possession. As you can see, even the rich and famous sometimes must spend time in jail, though many have managed to get their charges reduced or dropped and avoid severe punishment. They and others have found it’s important to engage an experienced drug crime attorney who knows how to defend against a drug charge. If you or a loved one face a drug charge and need an experienced drug defense lawyer for Houston, Harris County, Fort Bend County or Montgomery County, contact the Neal Davis Law Firm today for a free review of your case. You have the same legal rights as everyone else, and they should be protected. Let us help.